We Take a Look at One of the Oldest and Most Respected Chess Clubs in the U.S.
Portland, Oregon, is a beautiful city best known for its progressive hipster crowd, as well as being super environmentally-friendly. You might not realize that there’s a pretty happening chess scene going on in Portland, as well – compliments of the Portland Chess Club. For well over a hundred years, it’s given chess-loving Portlanders a place to gather, practice their chess skills, and do battle across a chess board. We’ve said it before, but it’s worth repeating: we love a chess club with a long and beautiful history. There’s something wonderful about being part of an organization that’s helped pass the art of chess down from generation to generation, and that’s what you’ll find at the Portland Chess Club. The club was founded in 1911, and ever since then, it’s played host to numerous world champions and national chess tournaments. In its early days, the club hosted U.S. chess champion Frank Marshall for two simuls; those events sparked other elite players such as Jose Capablanca, Alexander Alekhine, and Emanuel Lasker to follow suit and visit the club for their own simultaneous exhibitions. Over the years, champion chess players such as Arthur Dake emerged from the club. In addition to playing on U.S. Olympic teams, Dake was crowned Marshall Chess Club Champion in 1931 and defeated Alekhine, then the reigning World Champion, in 1932. Dake was inducted into the Chess Hall of Fame in 1991. 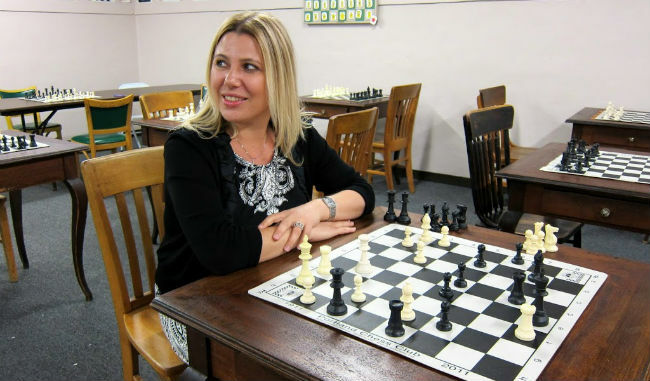 The Portland Chess Club has also organized various events and tournaments that have become cornerstones of chess in the Northwest even up until today. The club was founded in 1911, and ever since then, it’s played host to numerous world champions and national chess tournaments. Held each week throughout October, this one section, five-round Swiss tournament gives rated Portland Chess Club members the opportunity to face off and pit the best against the best. 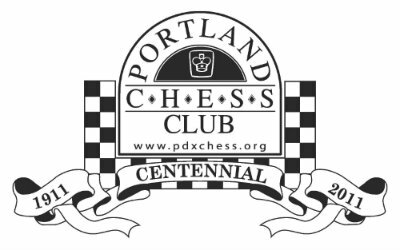 Tournament fees are $10 and a Portland Chess Club membership that’s valid through October is required to register. The Portland Chess Club also hosts the Oregon State Championship, an event that’s been jokingly referred to as the “Oregon Closed” due to the fact that it’s an invitational event featuring only 10 players. Even if you’re not one of the 10, it’s amazing to see these talented chess players engage in a battle of the brains! With $10,000 in guaranteed prize money for its champions, the Oregon Open is the biggest open tournament held each year in Oregon. The Portland Chess Club is proud to be a sponsor of this time-honored event. Every month, the Portland Chess Club hosts its Unrated Rapid tournament. During the four-hour event, players enjoy six rounds of rapid chess. The club invites everyone to play, whether they’re a member, non-member, or regardless of if they’re signed up with the USCF or OCF. The entry fee is $10, but club members can enter for only $5. These laid-back get-togethers offer members the opportunity to play casual chess, relax, and socialize. If you’d like to visit, get a feel for the club, and ask questions, this is an excellent time to drop in! The club meets at 8205 SW 24th Ave. in Portland; the doors open at 7 p.m. and play goes until 10 p.m.
One Sunday a month and each Tuesday night, members can join in on the club’s Quads tournaments. They’re three-round quads with all three held on the Sunday version and for the other, one round held on each of the first three Tuesdays each month. Entry fees are $15 for non-members and $10 for members. While the club doesn’t offer specific classes or lessons, they do often host special events and lectures designed for participants to learn helpful tips, tricks, and strategies from more seasoned players. For those who would like one-on-one coaching, there is a list of members who offer coaching services listed in the FAQ section of the Portland Chess Club website. 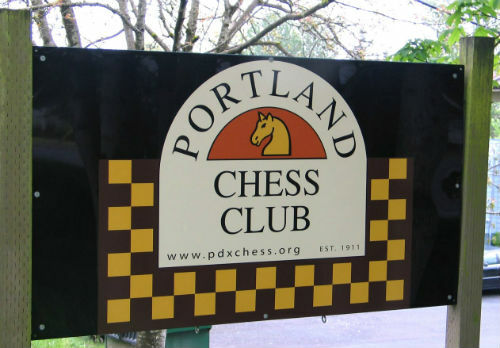 While membership isn’t a must to take part in Portland Chess Club events (with the exception of the Club Championship), members do receive discounts on tournament entry fees, are allowed to check out books from the Portland Chess Club library, are first on the invitation list for special events, can vote in club board elections, and can advertise chess coaching services on the club’s website and at the facility itself. In addition to all of this, there’s a great feeling of camaraderie in being an official member. Lifetime memberships are also available. The rate for an individual is $1,200. A sustaining individual membership is $150 a year for 10 consecutive years. A lifetime family membership is $1,500. The Portland Chess Club recognizes all lifetime members on its website and at the club facility. Join or Drop By for a Visit! If you’re a chess player in the Portland area and you haven’t checked out the Portland Chess Club, you don’t know what you’re missing. Why not drop in for a Casual Wednesday, say hello, and play a game or two? You’ve got nothing to lose…except your chess pieces. What Makes a Good Chess Club: Learn What Makes a Chess Club Truly Outstanding.